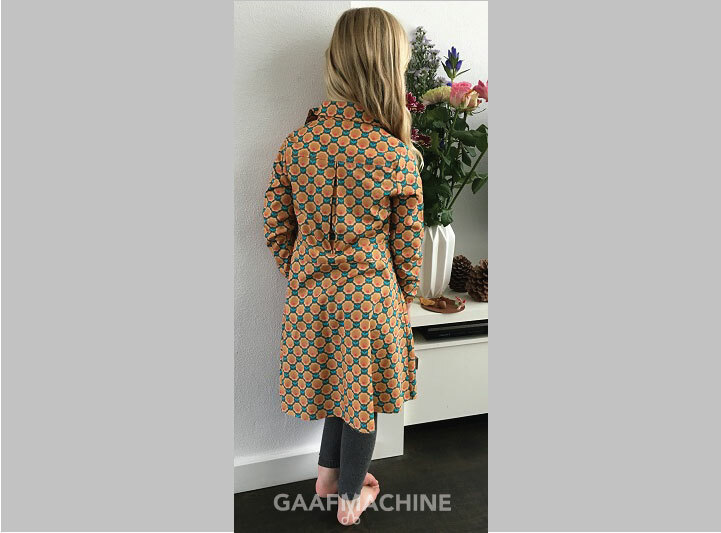 Gaafmachine – Sewing Block Party! 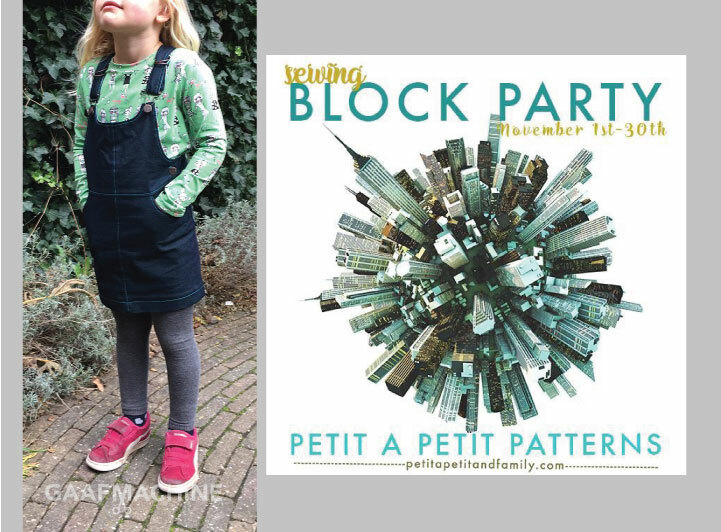 No Tags | Geen categorie | 12 Reacties op Sewing Block Party! When Emi from Just add Fabric asked me a few months ago if I wanted to join an international blog tour where we would sew up the patterns from Petit a Petit and Family, I said yes right away, I mean, I love all Celina’s patterns!!! So, the thinking started, what to sew? And which fabrics to use… Just before this big international tour would start, Celina had a tester call for the Loverall Dungarees and Loveralls Skirt. She posted a sneak peak I think almost a year ago, and I know many of us sewing addicts have been waiting eagerly patiently for the tester calls. I mean, dungarees! So it was great to get selected. I am sure you already have seen more of this wonderful Sewing Block Party, all those talented ladies just around the (digital) corner! I hope you will enjoy my makes and be sure to read all post for a discount code, a giveway and the line up. Aaah, the Loveralls Skirt! I think this is my favorite :). Again I used a stretchy blue denim and combined it with a bright blue from Soft Cactus Fabrics, you can find it here. 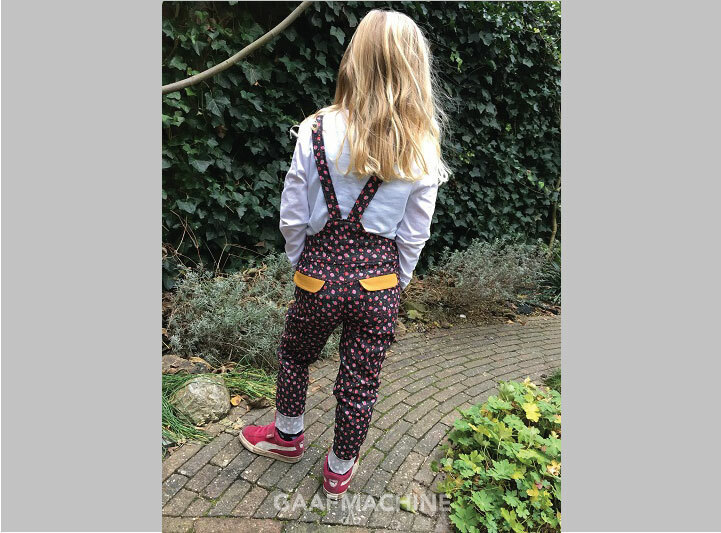 Again this pattern, just like the dungarees, is perfect for combining fabrics. And of course, to make this outfit complete, I could not resist sewing a Rowan Tee from Titchy Threads. Just the simple version, but hey, this pattern is really versatile, so be sure to check it out. For the dungarees I used a stretched denim with strawberries. I love how it turned out! Perfect for playing outside :). Of course I could not resist to make more, and Isabella could use another cardigan, so finally I could make the Goodall Cardigan (and you know what, it’s a free pattern. Yes, really, it’s free!). 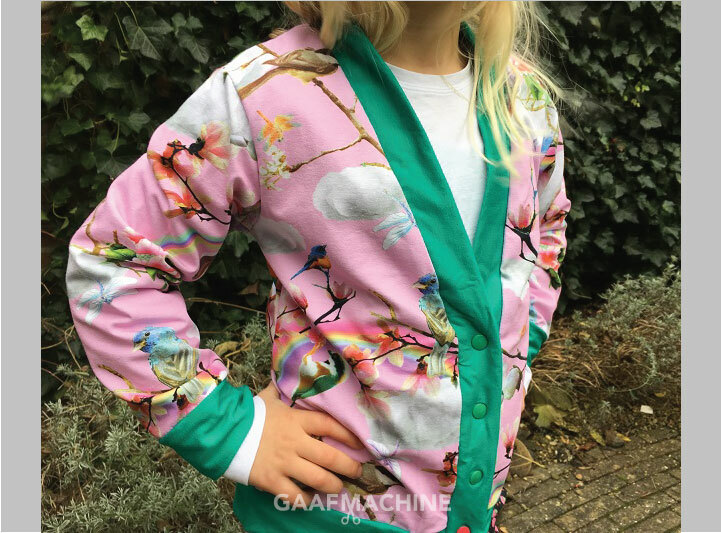 A while ago Isabella chose this really girly digital print, with birds and a rainbow. 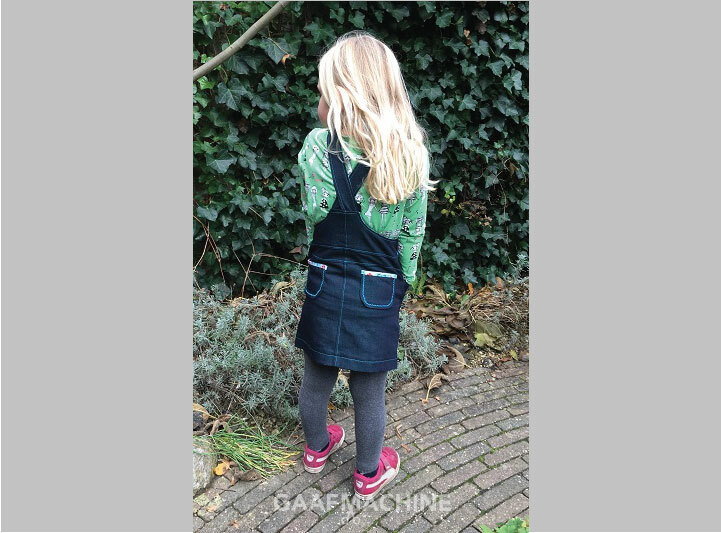 We only bought half a meter at that time, but I managed to squeeze it out and chose to use a green neck- and waistband (actually, it was Isabella who decided to color block with green 🙂 ). 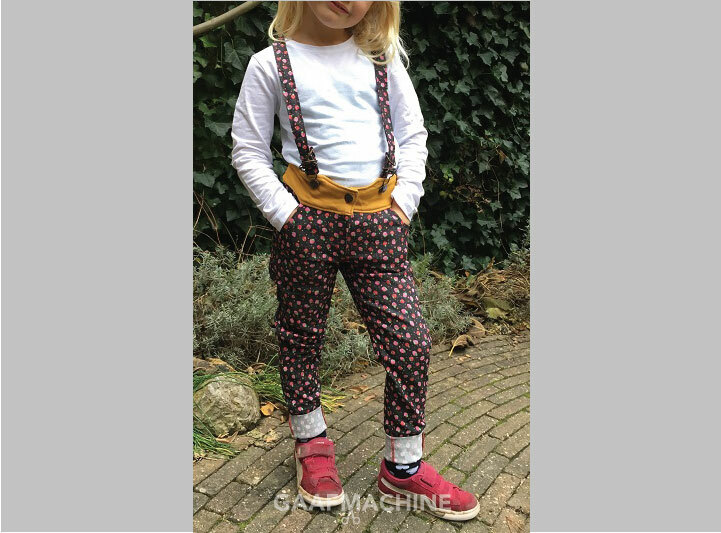 Isabella said, why not pair it with the strawberries dungarees? So, the brighter the better I guess…lol. And then, the Friday Dress (soon to be released!). It’s really a timeless silhouette, just what Celina says about her pattern. You can go with the full, gathered skirt for a pretty, feminine look or choose the semi-circle skirt for a cool and modern look. 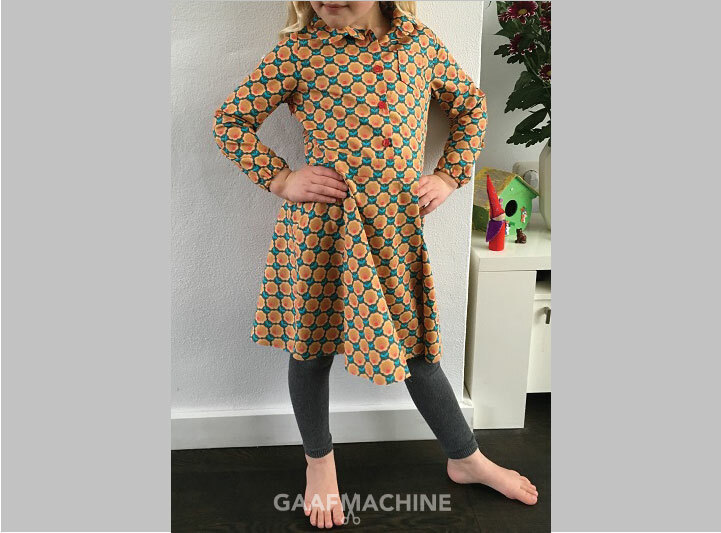 Then you can add pockets, short or long sleeves, a mandarin collar or a rounded or pointy collar….I might have forgotten some options, but just to give you an idea how many options there are! It was hard to decide which one to make, but since I wanted to use a fabric with a retro inspired print, I thought it would be best to go for the semi-circle skirt and pointy collar. And yes, it worked! Stay tuned, the Friday Dress will be released soon, a must have :). Until the end of this month you can get your copies of these great patterns with a 20% discount! Use the code BLOCKPARTY when checking out. And of course, there is a fantastic giveaway! You can enter it here and win all of the Petit a Petit Patterns! Whoohoo :). The Sewing Block Party is not over yet, so keep on following all these talented ladies from all over the world! So many beautiful garments ! You are wonderful Nelleke !! Wow, you were a busy sewing mama! Love all your makes, Nelleke! Great job! hahaha… oeps, Bettina, I guess you’re right…. Wow, what a lot of good stuff you made. Awesome!